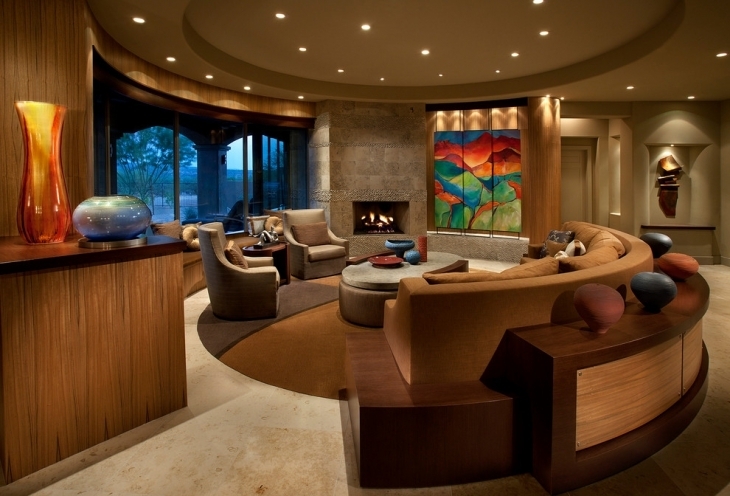 Pit lounges, popularly known as conversation pits are sunken living room spaces, which have an innate sense of intimacy and focus. 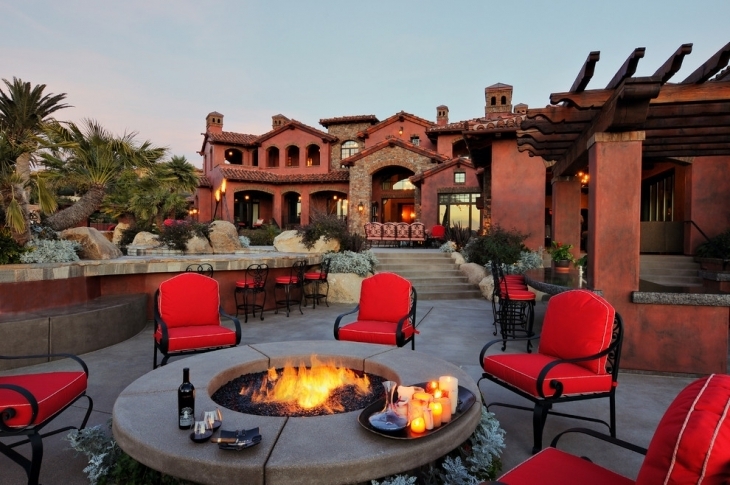 It provides a relatively secluded appearance with a unique elegance. 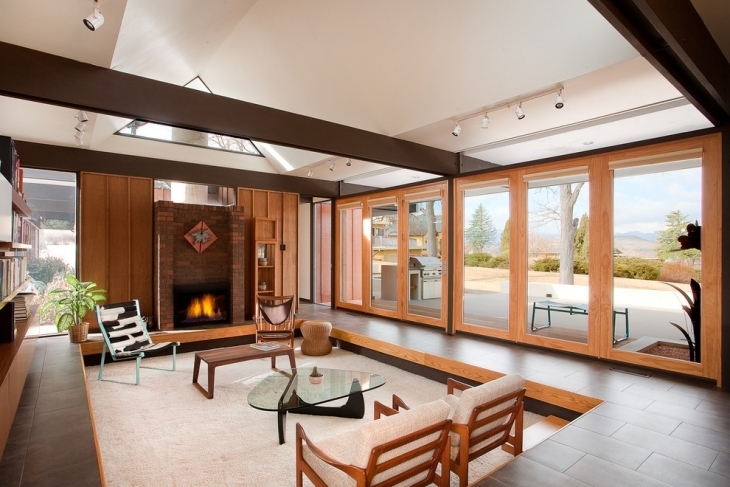 Most conversation pits are circular, square or rectangular. 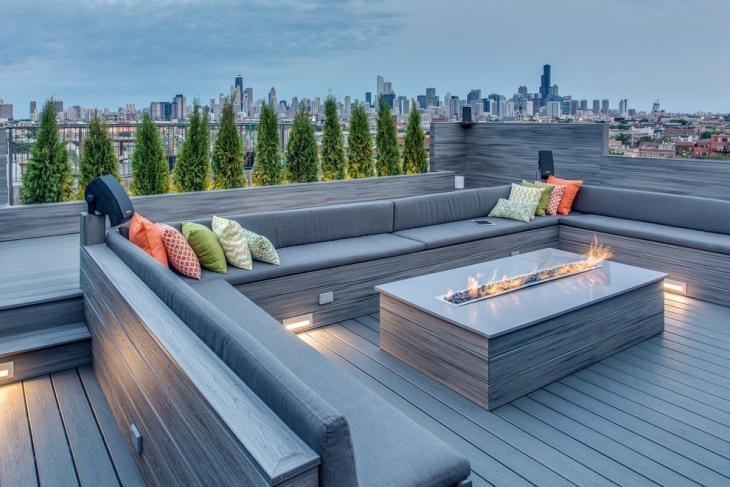 However, it depends on your space and your taste. You can be creative and make it triangular or even a pentagon. Depending on the size and layout, you can have one or more set of steps leading down into the pit. 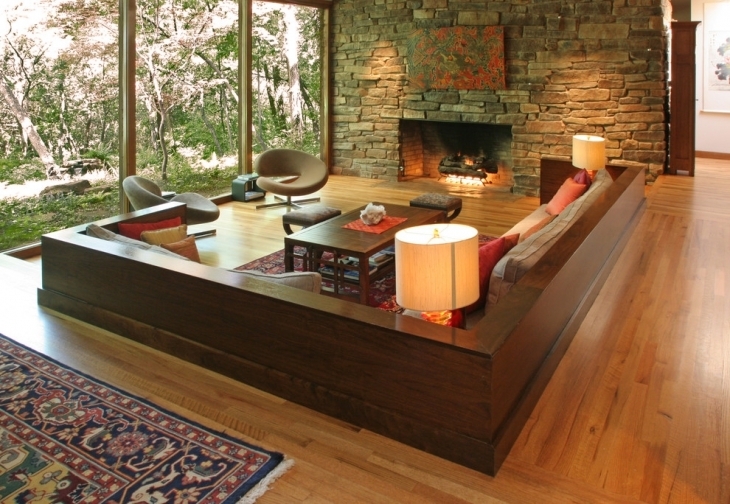 Conversation pits are designed just like any other living space. Almost all of them have an all-round sofa designs built into the pit. 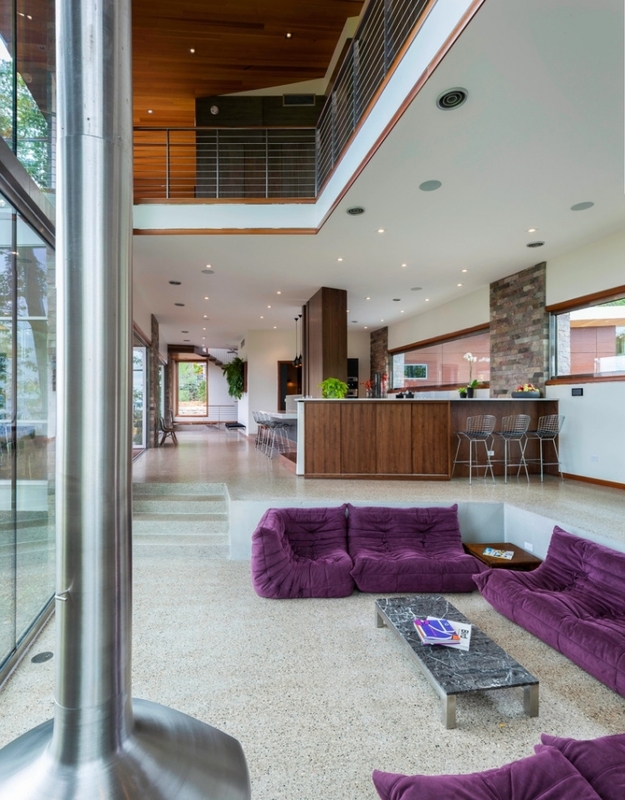 The design and upholstery of the pit can dictate the overall ambience of the living room. 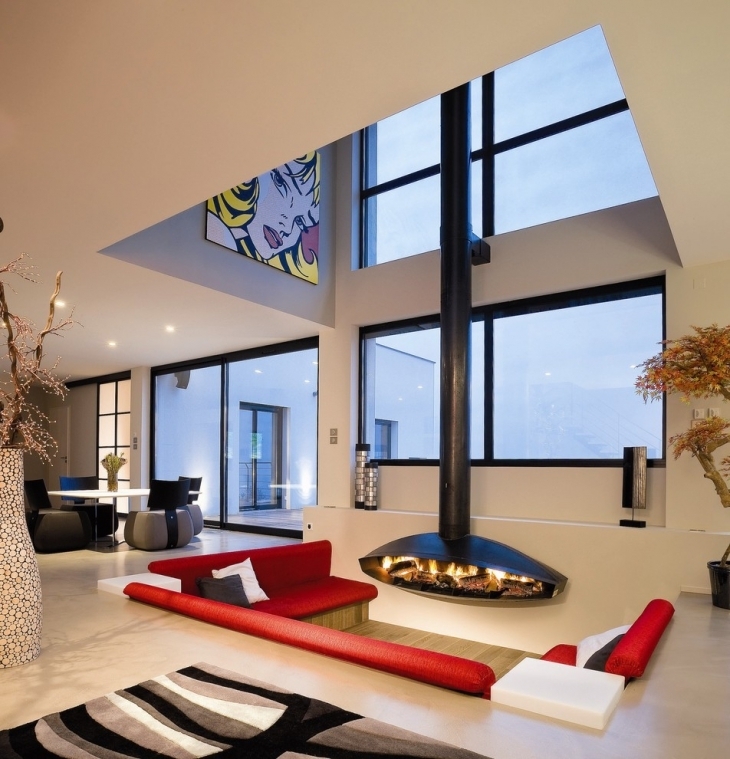 Most pits have a centre table; however, there can be other centre pieces, like a designer open fire and chimney. You can increase the functionality of the conversation pit by incorporating drawers below the sofas to be used for storage. 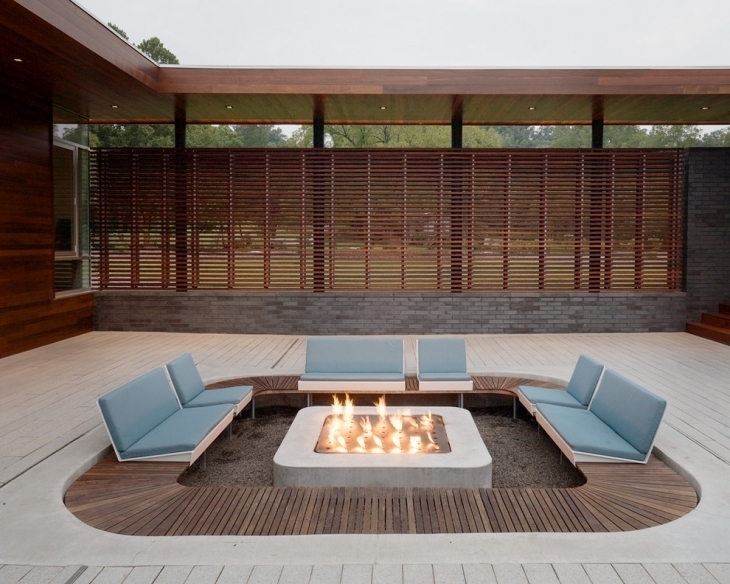 If you have a long patio, you can design a cozy conversation pit recessed into the deck with built-in or separate seating. 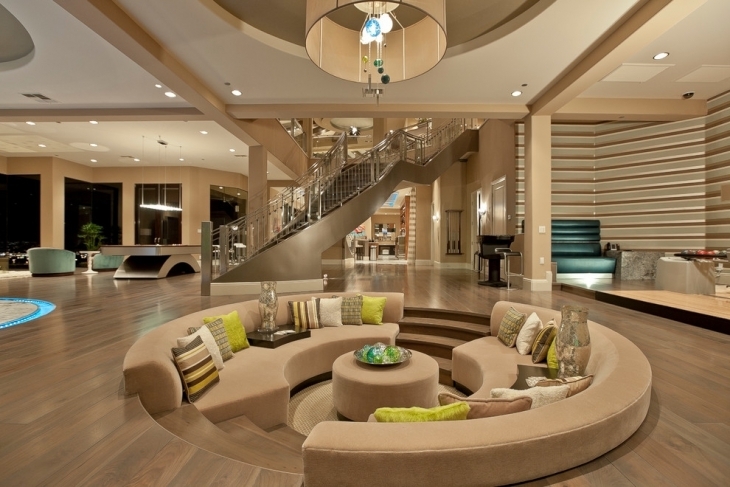 A conversation pit can also be the main part of your living room, with sofas on three sides and a television cabinet on the fourth. 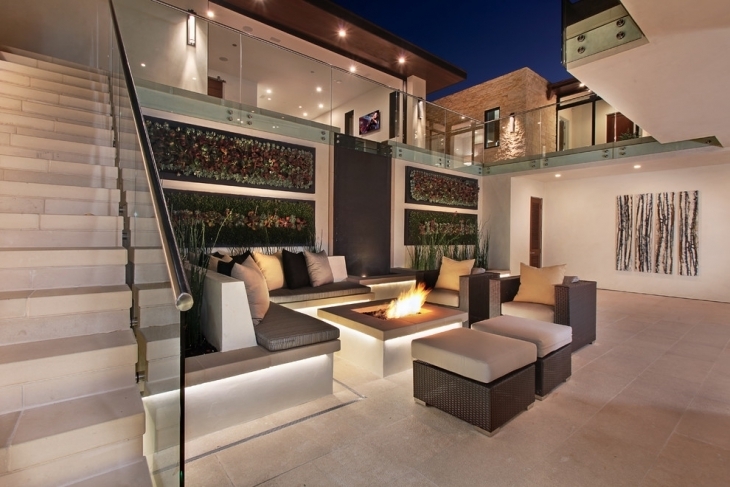 However, conversation pits need not be restricted to living rooms, or to the indoors. 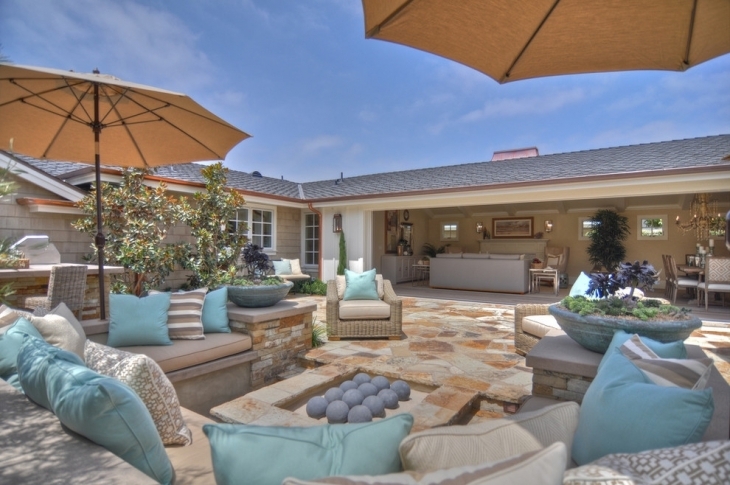 You can create sunken lounges even in your patio, porch or garden. 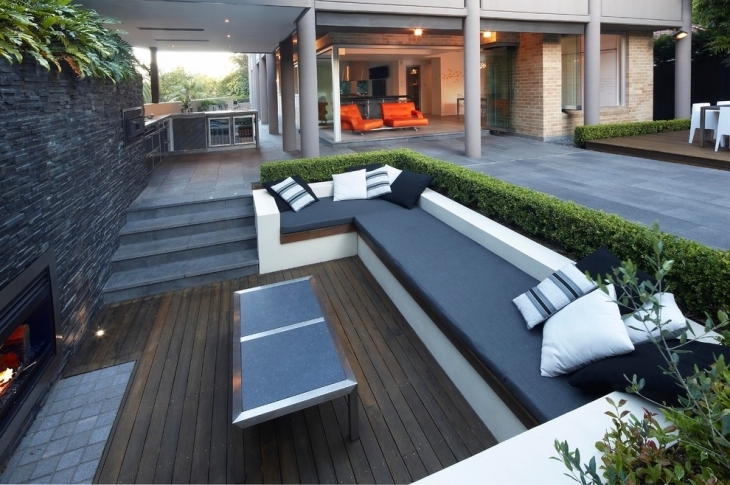 If you have a long patio, you can design a cozy conversation pit recessed into the deck with built-in or separate seating. 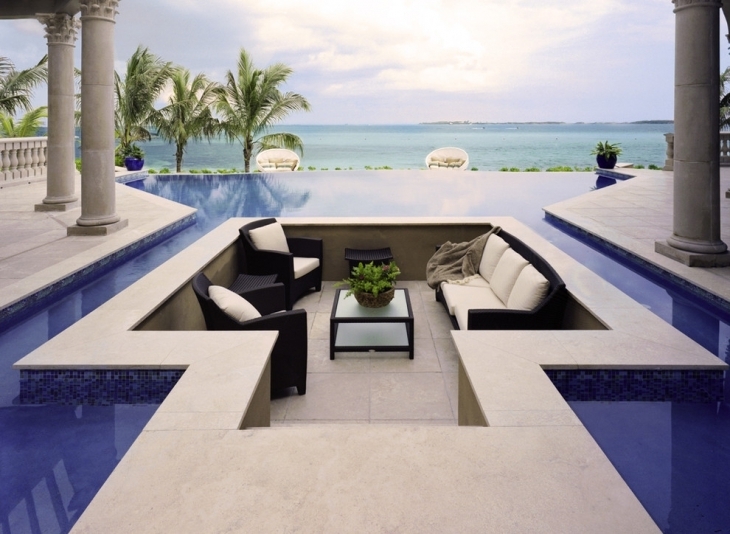 Some of the most stylish conversation pits are built as islands in the middle of swimming pools. They are accessed by several step columns leading to it, or a continuous platform, which forms a part of the overall poolside decor. These are designed to be used for non-swimming purposes, but do be careful of a swimmer splashing by when you are having a meeting. If you have a lakeside villa with a good view, you can build a conversation pit on a raised platform in the middle of the lake, to be accessed by an actual bridge.